1. Keep it tidy. One thing that really motivates me and helps me get started on work (such as uni assignments or dress making) is a neat and tidy space. There is nothing worse then wanting to get started on something only to find you have to clean up your workspace first. A great way to keep your space neat and tidy every time is to clean up at the end of everyday, so that it is clean and ready to go the next day. 2. Choose a space with great natural light. I'm a huge fan of natural light. Not only does it make a space more inviting but it also helps you see what you're working on a lot more clearly, preventing you from having to strain your eyes. If your space doesn't have a lot of natural light, I'd suggest finding a space that does, as it really is easier to get started on your work when you have a lovely light and inviting space to work at. 3. Stay organised. Having a calendar and some notebooks close by is a great way to stay organised. A calendar in your space (mine is a freebie that comes with Frankie magazine) will help you keep track of deadlines, and notebooks are always handy to write down lists in and little reminders in. 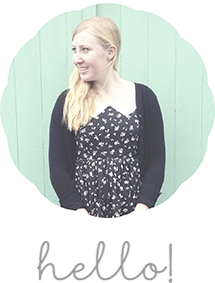 I also use a handy downloadable to do list that really helps me to stay on track with the things that need to get done. 4. Fill it with things that inspire you. I think this is the most important step to create an inspiring space. 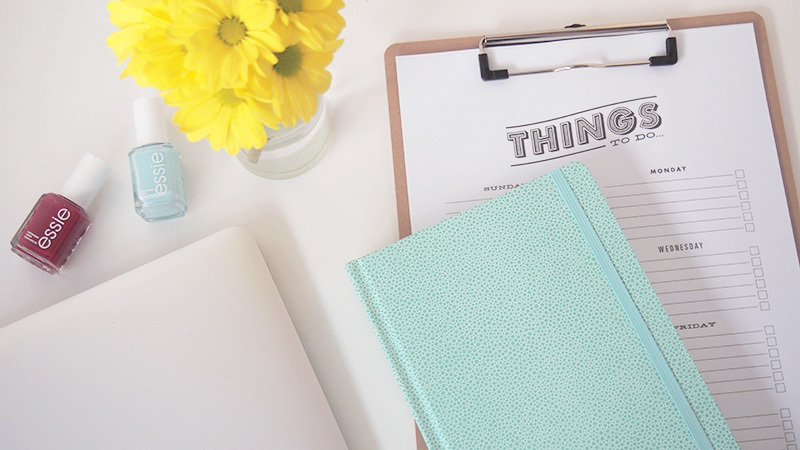 Filling your workspace with things that inspire you will create a happy environment and will give you the creative boost you need when you are feeling a little unmotivated. 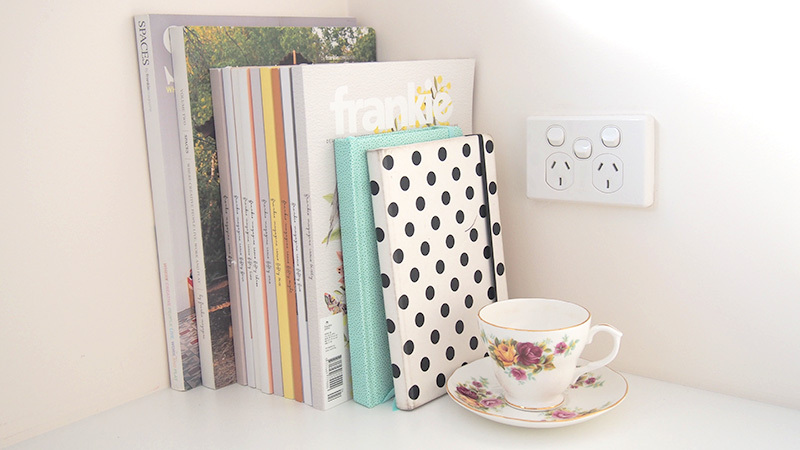 I like to fill my space with inspiring magazines and books, teacups, flowers and little pops of mint green. 5. Flowers. 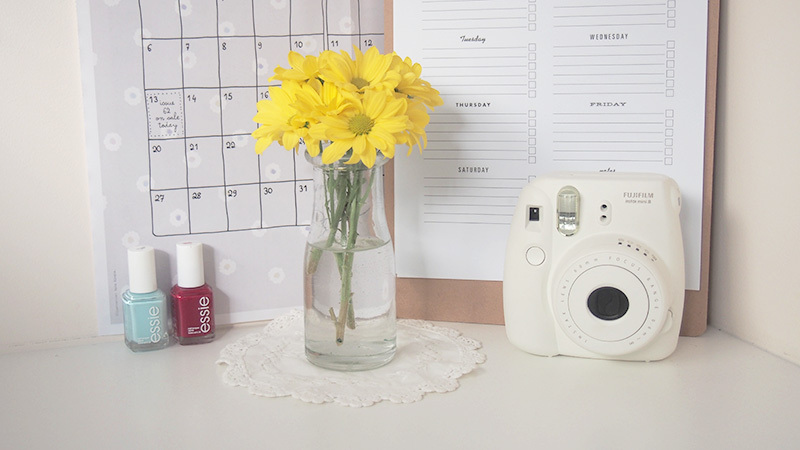 A jar of flowers really freshens up a space and makes it a much better environment to work in. Not only do they look really pretty, but they smell amazing too. Surprisingly, these flowers lasted a good two or three weeks so it doesn't even require that much effort, as you don't even have to change them every few days. I'm definitely going to keep flowers in my space more regularly from now on. I hope these tips were helpful for you! 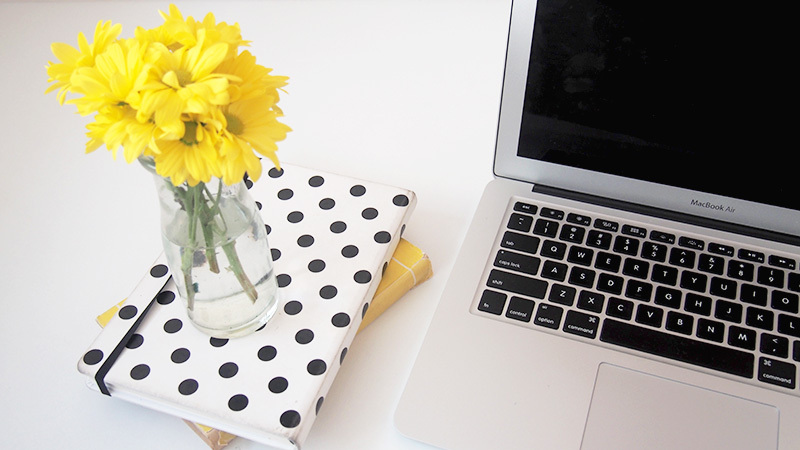 What things do you do to keep your workspace inspiring? I love the way you take pictures Janelle. What camera and editing software do you use?